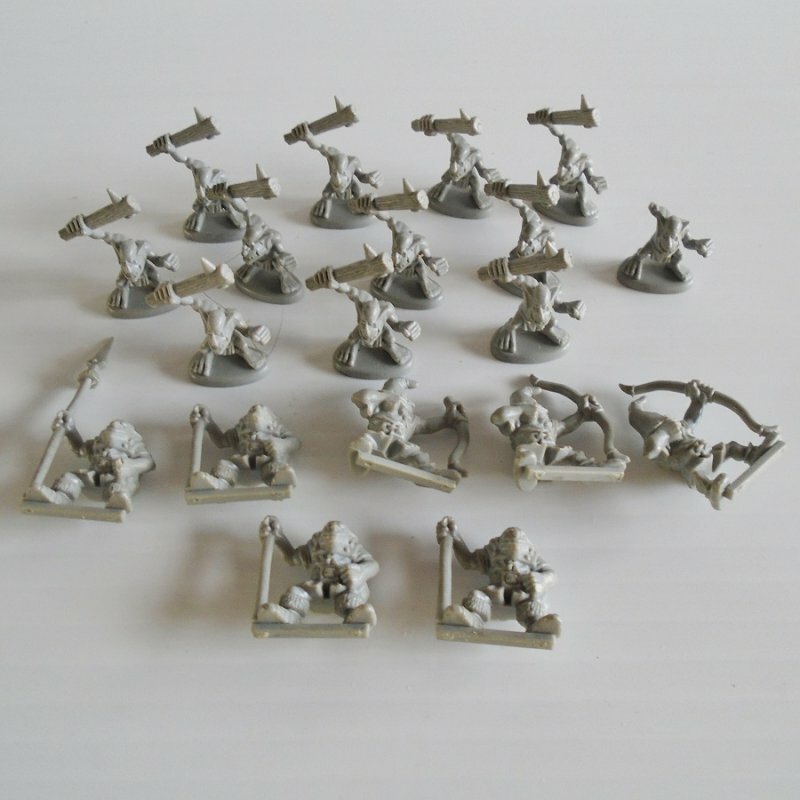 Quantity of 19 miniature fighting figurines. For either Warhammer, Dungeons and Dragons, or Mage Knight. 3/4 to 1 inch tall. All unpainted. Offered in this listing are a quantity of 19 miniature fighter figurines. I'm not sure if they are for Dungeons and Dragons, Mage Knight, or if they are part of the Warhammer game. They all stand about 3/4 to 1 inch tall. All are unpainted. Just over half of them have permanently attached base stands. Of the ones that do not have a base, they do have the piece on the bottom that slides into a base, (if you have extra bases). There are 11 figurines that are holding a club over their head. These are all on bases. There is 1 figurine making a fist. I believe this one is missing part of one arm. It is on a base also. There are 3 that are holding a bow. They have no base. There is one holding a spear. No base. There are 3 that appear to be holding a long stick. No bases.